At the time Tabor claims to have checked and discovered that “the dimensions of the missing tenth ossuary are precisely the same, to the centimeter, to those of the James ossuary,” anyone who bothered to look it up knew that what he said was false, that in fact, the lost tenth ossuary was 4 centimeters longer than the James Ossuary, 1 centimeter wider, and .5 centimeters taller. James Ossuary (Lemaire): 56 x 25 x 30.5 cm. Lost 10th Ossuary (Kloner): 60 x 26 x 30 cm. All this is old news.In the 2007 book by Simcha Jacobovici and Charles Pellegrino, released in connection with Jocobovici’s The Lost Tomb of Jesus, the dimensions of the James Ossuary are reported, this time as 56.5 x 26 x 30.2 cm. (The Jesus Family Tomb, 210). James Ossuary (Jacobovici & Pellegrino) 56.5 x 26 x 30.2 cm. Lost 10th Ossuary (Kloner) 60 x 26 x 30 cm. Huggins goes on to counter Jacobovici’s attempts to explain the differences, suggesting that Jacobovici and Tabor really are stretching the ossuary. Give it a read. Thanks for pointing people to my posting. Today I added a good deal more to this, bringing the question down to Tabors latest revision of the measurements in Jan 2013. Thanks for this. The ossuary is more elastic than I thought. 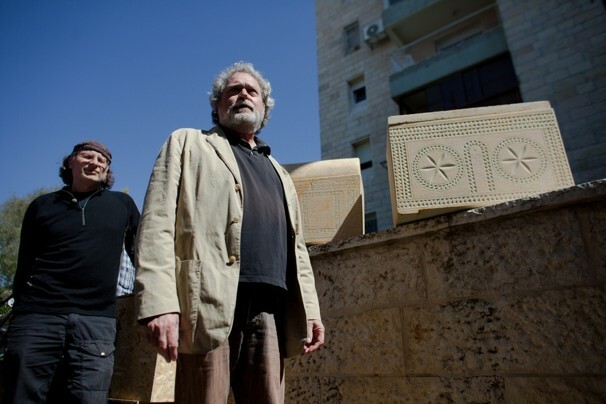 I callenge Tabor to provide us with concrete evidence for his alleged new measurements for from the Israel Antiquities Authority. or else at least an explanation as to why the measurments he and Jacobovici give keep changing.